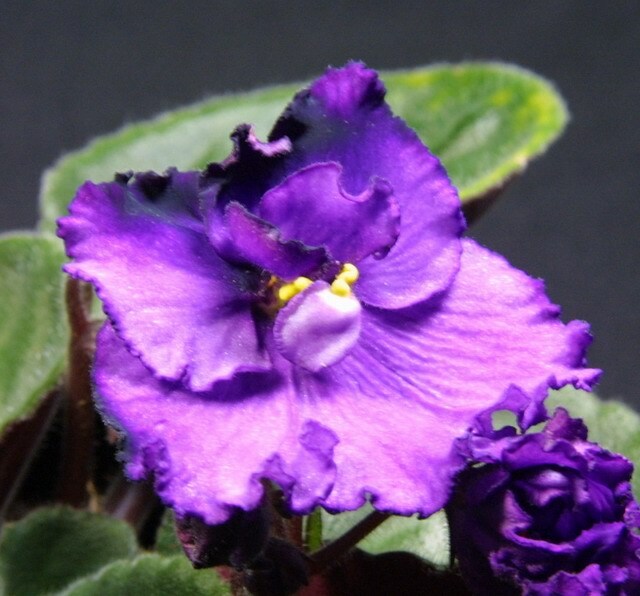 Semidouble purple frilled pansy with darker tips. Dark green plain quilted foliage with red back. Standard. 1 Leaf 2 Leaves ($1.50) At this time, we only have leaves. Some small plantlets coming in the short future. 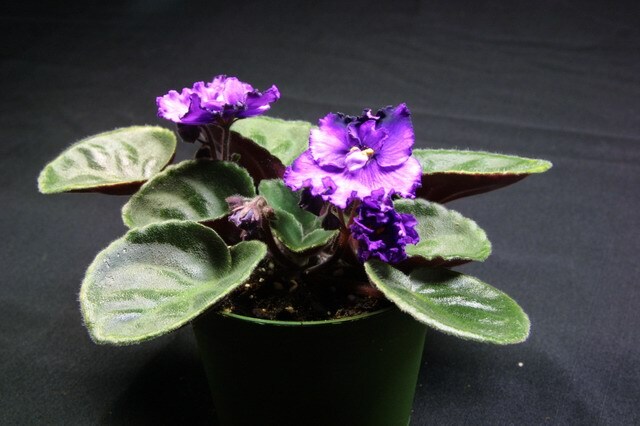 Let us know if you are interested in the plants via the Comment section on the order form and we will e-mail you availability.